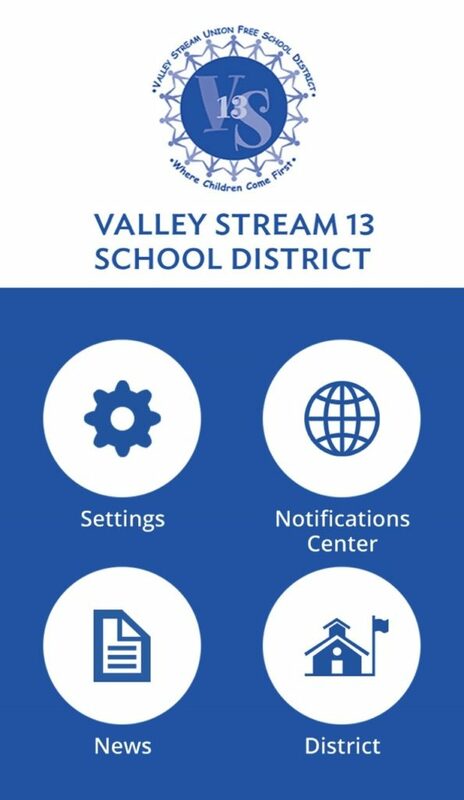 Valley Stream Union Free School District Thirteen recently launched the “Valley Stream 13 UFSD” mobile application, providing an additional platform for parents to stay connected with their children’s respective schools and have easy access to important Districtwide information on their mobile device. The app is bright, clean and easy to navigate—designed to be as accessible as the District’s website. Additional features of the app include lunch menus, staff directories, school bucks, news updates, letters to the community and alert notifications. The app, which is free of charge, can be downloaded by iPhone users in the App Store and by Android users in Google Play.